What an honor and pleasure to welcome Nicole Lambert, famous French author and illustrator, beloved by little Parisians, in our boutique L’Île aux Fées for the signature of her two last books “Les Aventures de Nouna La Nouille” and “Les Triplés fêtent Noël” ! The event was a great success and it was delightful to see the smiles of children patiently waiting their turn to get a signature and little drawing in their Triplés book. At first sight we fell in love with “Les Aventures de Nouna La Nouille”. Its precious red velvet cover with gold letterings immediately attracts the eyes. 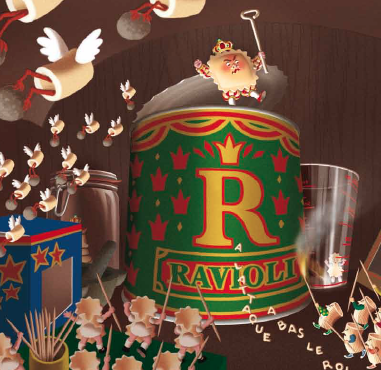 The hero of the story is not a human, not an animal but a tiny pasta called Nouna! Both for adults and children, the books adresses important themes such as : the feeling of being different, the longing to discover the world, the need of freedom and love. Through astonishing images rich in details, we follow Nouna on her adventures, we laugh, we hold our breaths, we cry but most of all we smile! 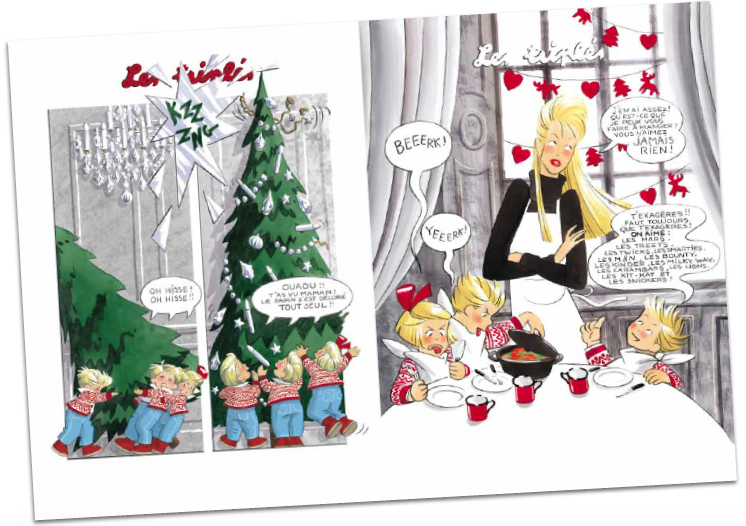 As for “Les Triplés fêtent Noël”, we are once more seduced! With each new publishing we discover new adventures of the Triplets. These delightful three blonds siblings never cease to make our hearts melt by their innocence and tenderness. They wake the child which sleeps deep within our soul and revive happy childhood memories. Thank you to Smileat, a 100% organic baby food brand for sponsporing the event!